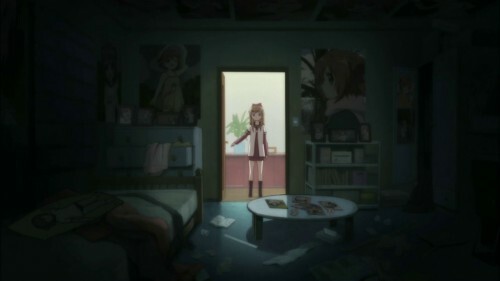 The group discovered that Yui is living on her own and so Kyouko decided to visit her on holiday. Hilarity ensues. This episode is focused on Kyouko and Yui (at least the latter half) as we discover that they have known each other since like forever (including Akari) and how Chinatsu wants to join the group, too. For Yui-senpai, presumably. Hinted at the beginning of the whole event, turns out Kyouko cared about Yui after all and they proceeded to the bed at night in the end. IYKWIM. 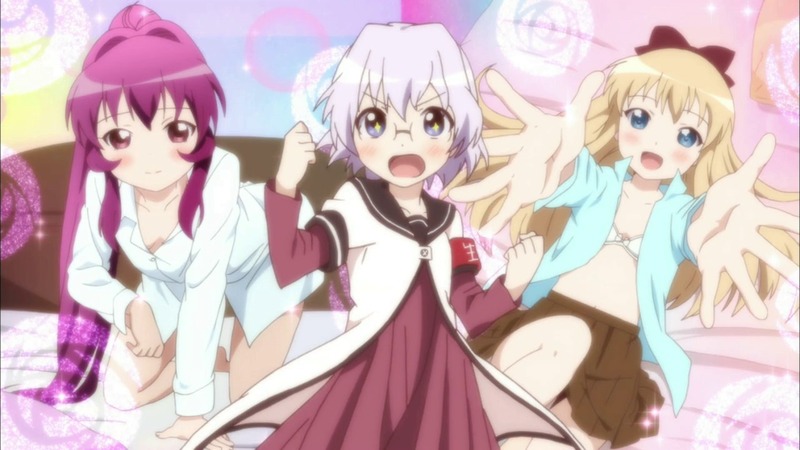 A normal Yuru Yuri episode which is a good thing. As hoped, the second episode delivers. **And more**. An explicit version of Tsumugi is one thing but the yuri-tsundere-couple is also great. I mean, seeing a tsundere character isn’t all new but in this, there are two – attracted to each other no less. As Kurogane said, [restraining their homolust for each other and channeling it in to spiteful actions between them](http://kurogane.animeblogger.net/2011/07/12/yuruyuri-02/). Conclusion: crazy brainless yuri fun. Turned out pretty good. Yes, I’m one of LFB mentioned by [Erica](http://okazu.blogspot.com/2011/07/yuri-anime-yuru-yuri-english.html). Don’t worry, I like yuri both serious and comedy themed! Not that I’ve actually watched that much though (yet). Your standard 4 high shool girls-themed slice of life comedy anime. The twist is this something resembling triangle love and TWO (yes TWO – not one but only two – or maybe more?) person with tendency to nosebleed when thinking on certain line of thoughts. If you know what I mean.